This Grandma loves our multi generational trips and adventures which began when our first grandson was a toddler. Our first trip was to Atlantis in the Bahamas. We look at pictures of him in his Bahamian shirt lounging and drinking his bottle in this tropical paradise and still smile. He has no recollection. Recently Grandpa and I have been discussing with our children their first recollections of our family adventures. I won a blimp ride when they were very small. The youngest, who was two or so, does not remember. Pictures do not even refresh her recollection. Since each grandchild was born, I do an annual photograph album of his or her year, every year, including all the family events and trips. I try to do an individual Shutterfly book for each special trip or adventure. I just finished one on the January 2017 trip to Disney and Universal with the youngest grandsons. So, what does this all tell us Boomer grandparents? Yes, we can wait until grandchildren are age 3 before we plan multi generational trips, but this Grandma found that impossible. I loved seeing Disney through each grandchild’s eyes at every stage, whether they could remember it or not. I can remember each trip. I think what we do is we talk to our grandchildren, often, about their experiences. We show them pictures often of our trips and adventures. Isn’t this wonderful! When we visit, we can drag out the photo albums and the Shutterfly books from their birth forward and share and talk about our history together. Not only is it wonderful to have another reason to have them on our lap, it solidifies their earliest memories. Even when they are too old to sit on our laps, they still love looking at pictures of their early childhood and hearing the stories behind them. 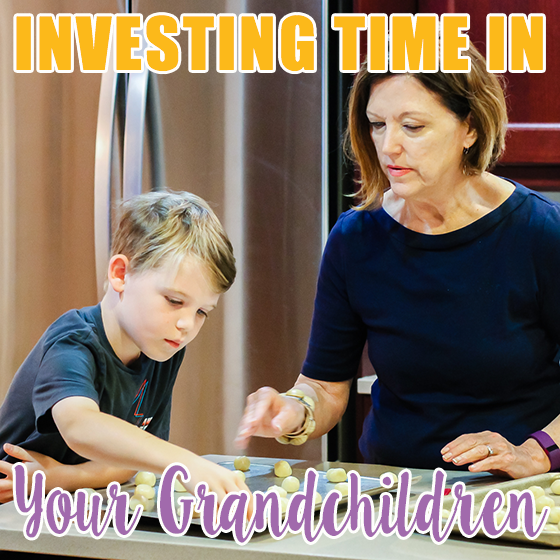 Every excuse we can have to spend such grandchild quality time and repeat the quality time through review of the experience is pure grandma.